Enough of that though, on with the post. I’ve been keen to show you my Nars highlighter for a while now, but as luck would have it I actually have two kinds in exactly the same shade. How did this happen? I do not know (I do, my eyes are bigger than my... face?). What I will say though is that they’re two really popular highlighters and they also happen to be my favourites. With this in mind I thought that a comparison post might really help some of you guys out, as they are unfortunately not cheap. 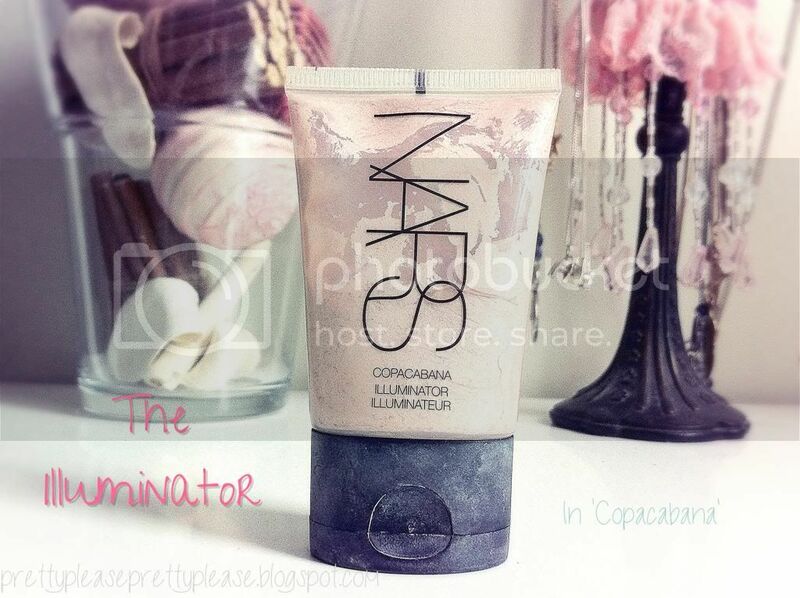 First up we have the Nars Illuminator in Copacabana. I often reach for this over my multiple because I love the consistency of it. The colour is pretty similar, although I’d say if you really want to glow for that candlelight glow effect then this has a little more oomph than the multiple (as you can see in the swatches). It’s a really creamy texture and blends so easily into the skin. It leaves behind a beautiful iridescence that can look pretty natural as there are no chunks of glitter, more just tiny shimmer particles. It’s also really easy to get the tiniest amount out of the tube, something that I think is really important for a £22 product as this means that it will last for aaages! I’ve never had any problems with this not working with any of my foundations, although you must of course remember to put this on before you powder your skin otherwise it won’t blend. It will just sit and most probably slide. 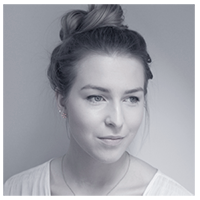 If you love a glowy, dewy makeup then I’d say that this is for you as it has a more “wet” look (hmm, that sounds weird). The other great thing is that it can be mixed with your foundation to wake up your skin too. 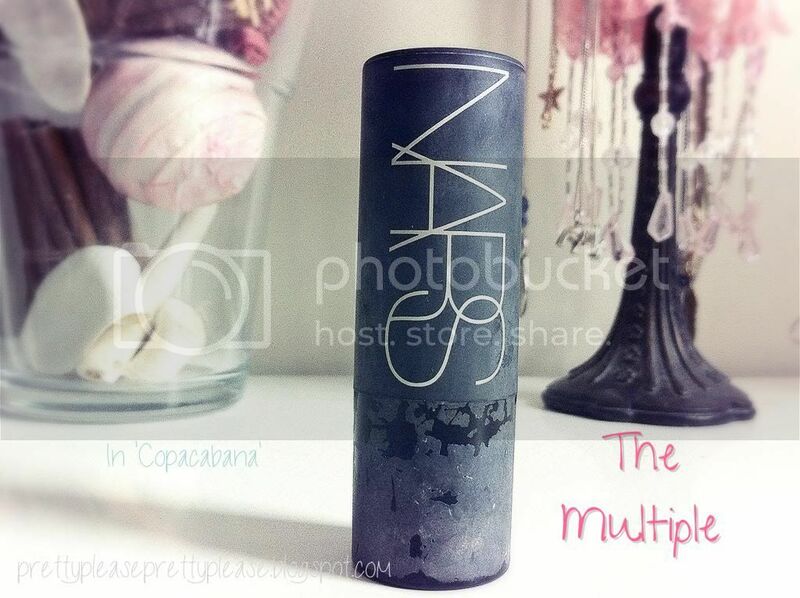 Secondly we have the Nars Multiple, also in Copacabana. I got this before my illuminator and I think that this is generally the more popular product out of the two. It comes in a giant lipstick type of packaging, which I think is a fun, novel idea. It also makes it really quick to slap on as a highlighter, although if you don’t have a brush to hand it can make it more difficult to use on smaller areas such as your brow bone. I would also say that this has a slightly more goldish tone than the bluish, silvery pink of the illuminator. 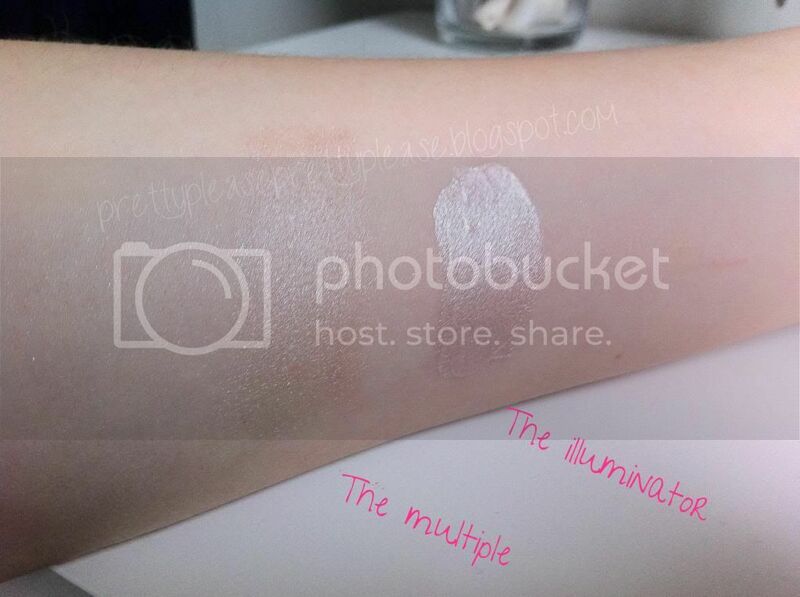 The multiple comes in a wider range of colours than the illuminator and is a little more expensive at £30. Having said this I have had mine for over two years and it hasn’t run out or dried out at all! Nars claims that this can be used on any part of the face including eyes and lips. I cannot speak for the other colours, but I have found that this really doesn’t stay on the eyes no matter what I try. In terms of formula this has a liquid to powder finish which I don’t really like as much because you have to blend it as soon as you put it on. This can be tricky and you can often see a line after putting it on if it isn't blended properly. It definitely sits on the skin more than my illumator. Although I still reach for this often I don’t think it beats the illumator in any category, other than perhaps cool packaging and being marginally faster to apply. Although of course you can get either product in other colours which may change the use slightly (I can imagine the multiple making a great, shimmery blush) I have to say going purely from the shade Copacabana my favourite of the two would definitely have to be the Illuminator. Although it may seem a little pricey it’s such great quality and it will last you a long time! Do you guys have either of these products? Have you tried them in any different shades? They both look so pretty! I've never tried either but I think I'd prefer the Illuminator too! 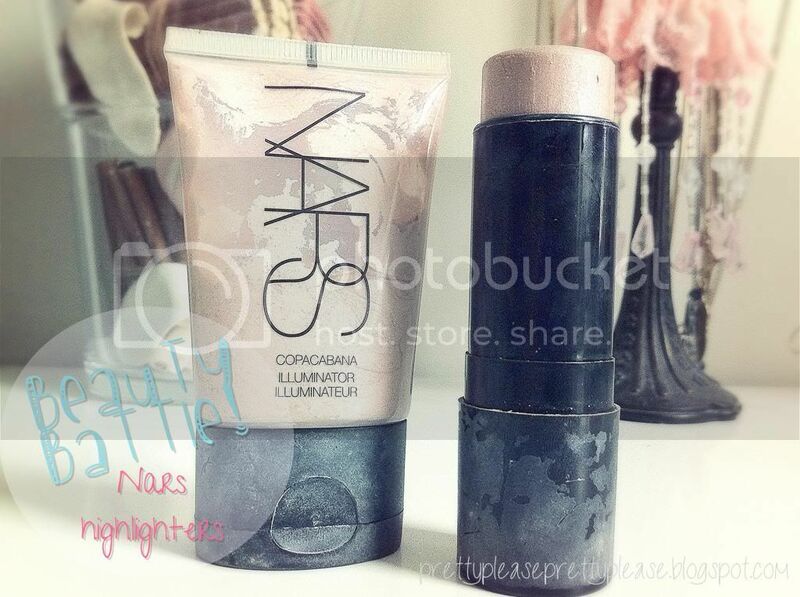 I love NARS, really want that illuminator!